Business card holder Linea with engr. shield sp./lacq. Business card holder with lines and space for an engraving. 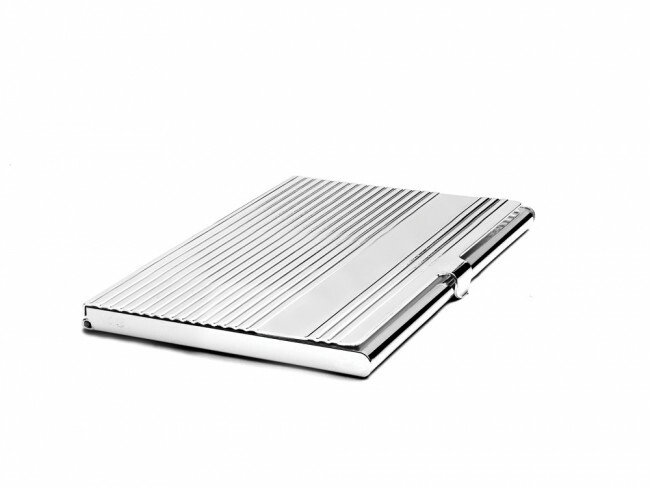 The business card holder is silver-plated and lacquered, and therefore requires no polishing. You're reviewing: Business card holder Linea with engr. shield sp./lacq.